Replacing your old heating and air conditioning system with a brand new Carrier high efficiency HVAC system is convenient with our available financing (with approved credit) through Wells Fargo Financial National Bank*. Through our relationship with these two companies, our clients, including those in the greater Las Vegas area, can get the heating and cooling system installation that they need, while paying over time. Invest in the comfort of your home with our financing option for heating and air conditioning installation and replacement. We will have our expert HVAC technicians install, fine-tune and setup the system for you – ensuring that the system is ready to go and running at perfect efficiency. 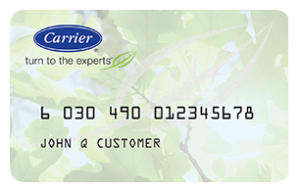 HAVE QUESTIONS ON FINANCING OR OUR QUALIFYING HVAC PRODUCTS?